Will Everhart can’t stand posh people like Harriet, but even she has to admit Harriet’s ideas are good - and they’ll keep Will from being expelled. That’s why she teams up with Harriet to create Amelia Westlake, a fake student who can take the credit for a series of provocative pranks at their school. But the further Will and Harriet’s hoax goes, the harder it is for the girls to remember they’re sworn enemies - and to keep Amelia Westlake’s true identity hidden. As tensions burn throughout the school, how far will they go to keep Amelia Westlake - and their feelings for each other - a secret? 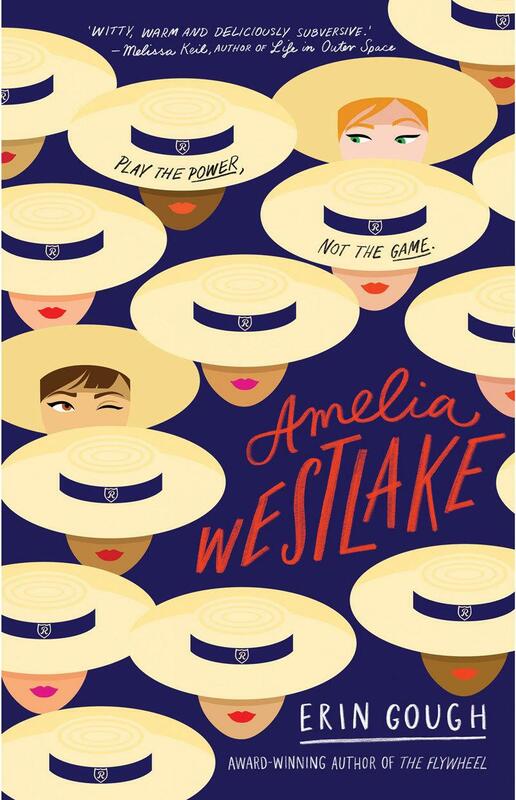 Amelia Westlake is a screwball comedy with a strong political edge set in a posh Australian private girls’ school. The arrival of Will (Wilhelmina) Everhart to Rosemead Grammar brings a fresh set of eyes to the school’s stuffy traditions. These traditions include tolerating a male sports master’s ogling of the girls in his charge and a serene sense of wealthy entitlement. These are not things Will can turn a blind eye to. When Will and her mismatched friend Harriet create a cartoon depicting the unpleasant sports master Coach Hadley, they also create a problem – how to publish it in the school newspaper without being immediately expelled? Enter, Amelia Westlake. Author Erin Gough’s second novel arrives bang on time for the #MeToo movement. Her feisty characters respond to the threats of sexism, homophobia and the wealth divide with a heady mix of art, anarchy and anger. Both Will and Harriet are, more or less, openly gay and in that sense Amelia Westlake picks up some of the themes of Gough’s popular debut, The Flywheel. The tone of this novel shifts midway through towards something more overtly political but retains its romantic strand. And keeping Amelia’s identity secret leads to all manner of hijinks, secret relationships and scandal. In the end, it is the friendships and the love between the characters that gets them through. The whole confection culminates in the rockingest school formal you could ever wish to attend, and is topped off with a scene slyly borrowed from Spartacus. Yay for Amelia Westlake, whoever you are! Fans of David Levithan and Rachel Cohn’s novels will recognise and welcome this book. So will anyone looking for a funny, edgy read. Mike Shuttleworth is a children’s and YA specialist at Readings Hawthorn.